In my last post, I introduced the idea of a miniseries reviewing the different technologies that were available for the mortgage industry. To kick things off, we are going to start in the order of how the mortgage process works and who we think of as being at the beginning of it all—the borrower. In the old days (like five years ago), most mortgage applications were taken by the loan officer, either face to face or on the phone. As you might recall, this was a time-consuming process that drastically reduced the amount of capacity the Loan Officer had per day. If they were spending 1-2 hours for each application and did 2-3 applications per day, then this was all they could realistically accomplish. 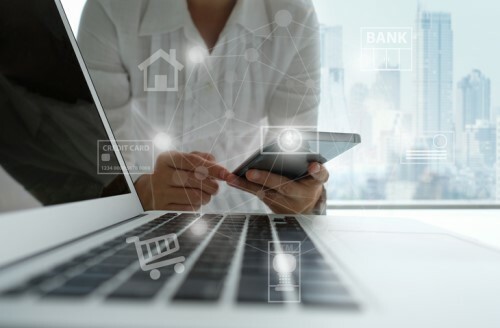 Fast-forward to today, Point of Sale (POS) consumer portals have now become not only a convenience for borrowers and mortgage companies, but also a necessity. So, what is a POS and why would a mortgage company need one? A POS application allows the mortgage company to be open 24/7 365. It is an online portal where the borrower can create a secured account and then complete a mortgage application at their convenience. Whether it is 10pm at night, on the weekend or any place they have their smart phone. Not only can they complete an application, they can check their loan status, send and receive documents securely, and message back and forth with the mortgage company via email or text messages. This has become a must-have for lenders to compete in today’s origination environment. Security, convenience, ease of use and instant gratification are what today’s borrowers are demanding. Millennials are driving this environment so the old way of doing business has been forced to change. Ten years ago, there was maybe one POS that could handle what we just talked about. Today, there are at least 25 POS companies all vying to help customers keep up the Rocket Mortgage® way – all online, secured, fast and transparent. But which one is right for you? All POS venders offer the basics: online 1003, send and receive documents, status updates and security. So what sets them apart? First and foremost, what is your go-forward strategy? Are you looking to compete with the Rocket Mortgage types, or are you looking for an online strategy where the borrower can accomplish about 70% online and the other 30% still requires a phone call? How much are you willing to spend? With overall costs to originate a loan—according to the MBA, at $8,800, and with shrinking margins—cost is a huge factor when considering a POS. High-end POS systems can range from $40-$75 per application depending on volume. How robust of a POS do you need to stay competitive in your market? In addition to the normal offerings a POS gives you, there are extras that are available such as: automated asset integrations (no need to ask the borrower for bank statements), automated income verification, credit pulls, automated underwriting (DU/LP), workflow engines, custom branding solutions, Loan Officer pages, Realtor portals and complete custom solutions. All of course may add to your cost per application. Are you looking for a web application or a mobile app solution? A web application is a site that can be viewed on any device (desktop, laptop, tablet or mobile phone). The technology will adapt to the size of the screen being utilized. Web applications are a great way to build your POS presence once and have it uniformly displayed across devices. You also have the ability to select a true mobile app. The kind you download from the Apple or Android store. These also can be customized to your needs and desires, but can only be used on devices that can download and use a true app. Security is always a concern. With recent headlines illustrating how seemingly secure sensitive data (Equifax, Target) has been hacked, how confident are you in a POS’ data security measures? Nothing is ever so secure that it is unhackable, but there are steps that can be taken to keep the data as secure as possible. First, you need to make sure your POS uses an HTTPS protocol or a secure and encrypted connection to the browser. You can tell a site is encrypted by looking next to the URL at the top of the page – it will have HTTPS and the word Secure and a closed lock icon. Next, how is the data stored in the database? Is sensitive data (SSN, Email, Address, etc) encrypted? It should be. This adds another layer of security. Where are the documents stored? Most documents are not stored in a database, but on a file system. Is this connection secured as well? At a minimum, all data centers should have an SSAE 16 type 2 certification and have HTTPS encryption certs. How important is it for you to have a seamless flow of data from the POS to your integrations to Loan Originations Systems and other third parties? Do you absolutely need the data to flow automatically or will a Fannie Mae 3.2 file export suffice? What about Asset and Income verifications? If you are looking for a true ‘lights out’ approach for your customer, then these integrations are very necessary. You will need to decide what you want your borrower to be able to accomplish by themselves and what you want to accomplish with them. But just remember, the more integrations you have, the higher the cost may become. As you can see, there are numerous POS companies out there all trying to get your business. You need to sit back and think; will my borrowers truly use all the bells and whistles a Point of Sale provides? The answer for some of you is an astounding yes. Others may want a middle-of-the-road POS or even just the basics. If you have any questions or would like to discuss your options with a completely unbiased third party, feel free to reach out to me.